As I’m writing blogs and work on my mac I fairly often take screenshots and includes it into my work (blogs, dokumentation etc). This is easily done by CMF + Shift + 4 (or 3 if you want to take a picture of the whole screen). By default OSX stores them on the desktop and I hate to have my desktop cluttered by this. So I checked how to move the location. And there is surely a way to do this. Now you need to restart the SystemUIServer to get it to reread the setting. This will now be the place where you can get the screenshots. There are more things you can change with the defaults command. 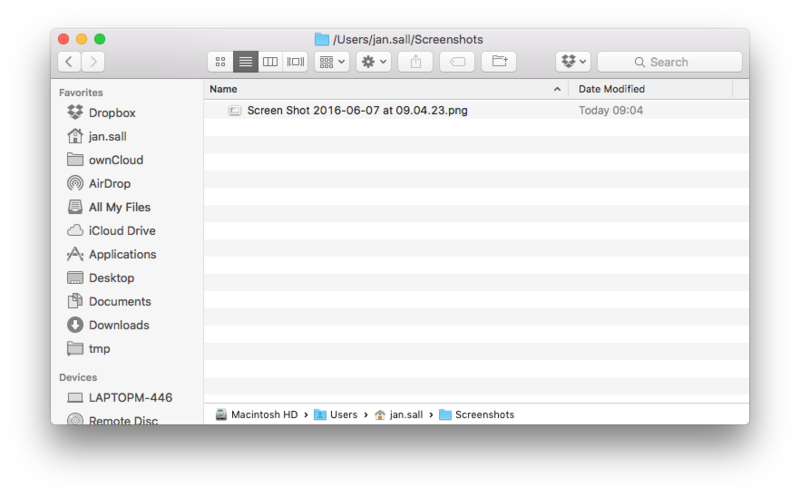 defaults write com.apple.screencapture name "ScreenShot"
So this is one more change you can do to tune you OSX system to what you want. This entry was posted in mac, osx. Bookmark the permalink.